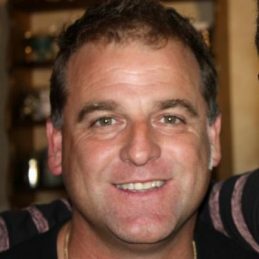 Darren Shane Berry (born 10 December 1969) is a former Australian cricketer who was known for his sharp skills as a wicket keeper with Victoria in the Sheffield Shield and ING Cup domestic competitions. He is currently the head coach of the South Australia cricket team. In 2002, preparing for his retirement from cricket, Berry was the runner for the St Kilda Football Club, for which he played at Under 19 level, a team which he passionately supports. That year he also took up boundary riding for Triple M before he graduated to the role of match-day play-by-play commentator on matches following his retirement from cricket in 2004. Berry was later released by Triple M.
Today, in addition to his role with K-Rock, Berry writes a column in The Sunday Age and coaches the Carlton Cricket Club in the Victorian Premier League. He is currently the head coach of the Southern Redbacks, South Australia’s state cricket team. He is a welcome addition to any function.